A little over 20 years ago, I met an author who had a profound influence on my life. I had read many of her books when I met her and have continued reading them long after she retired from speaking and writing. My bookshelves contain most of her books and I've started passing some of those books down to my granddaughter, so that she can receive the same influence from this lovely woman. Her name is Emilie Barnes. I'm sure many of you know her work. 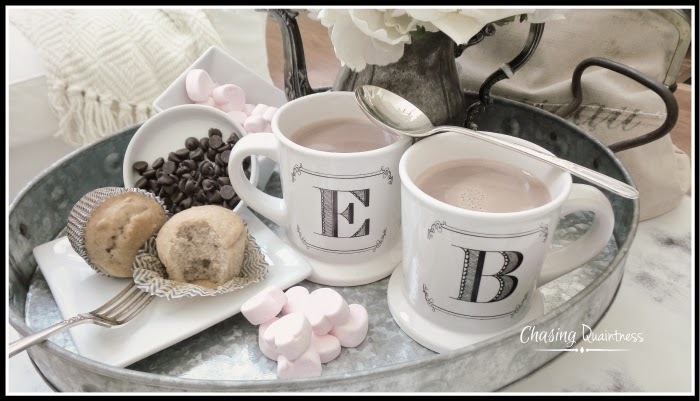 I am also sure that there are touches in your home or the way that you do things that were influenced by Emilie. She is such a wonderful lady who is gracious and kind. She is exactly what you would imagine if a teacup were a living thing. I've decided to write this post, as well as a few others, as a small series from her book The Spirit of Loveliness (which you can purchase here). My book cover looks like this. It was republished in the late 90s with a different cover. The cover is worn and tattered and the pages have been earmarked, highlighted, and written upon. I frequently use it as a study guide, if you will, of what I would like for my home to be. After all, a house is wood, brick and metal. A home is what grows inside, within the walls. The first chapter of this book is entitled, The Spirit of Welcome. 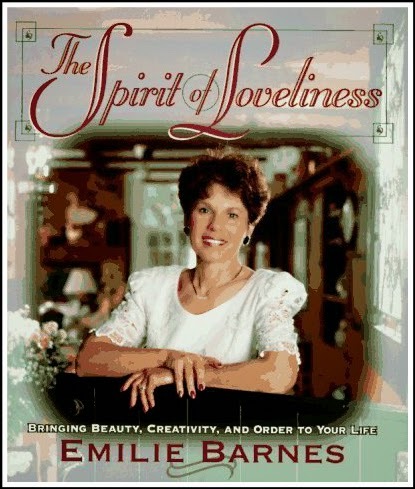 Emilie states that home is a state of the heart and spirit, a place of refuge. So what can we do to make our home welcoming to our family and to others? Here are a few tips she offers. They require little time or effort but make a huge impact. 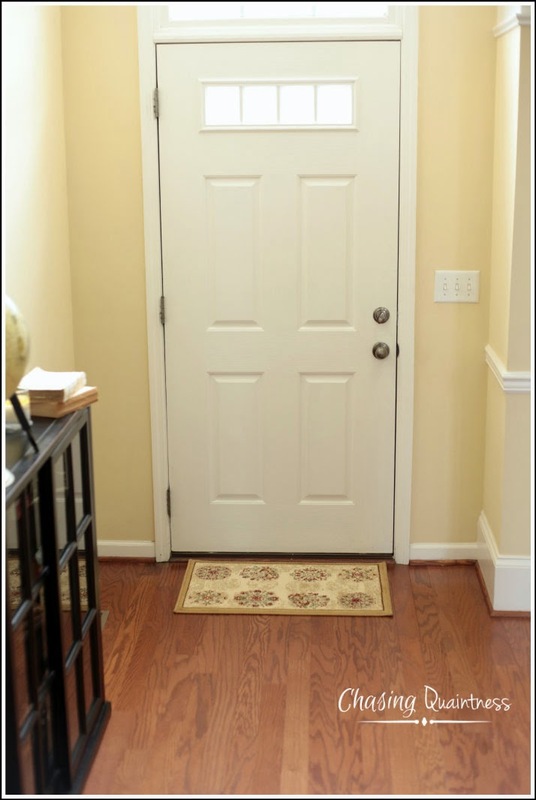 Make sure your entry way is clean and inviting. Clear the path for those who enter by removing clutter. 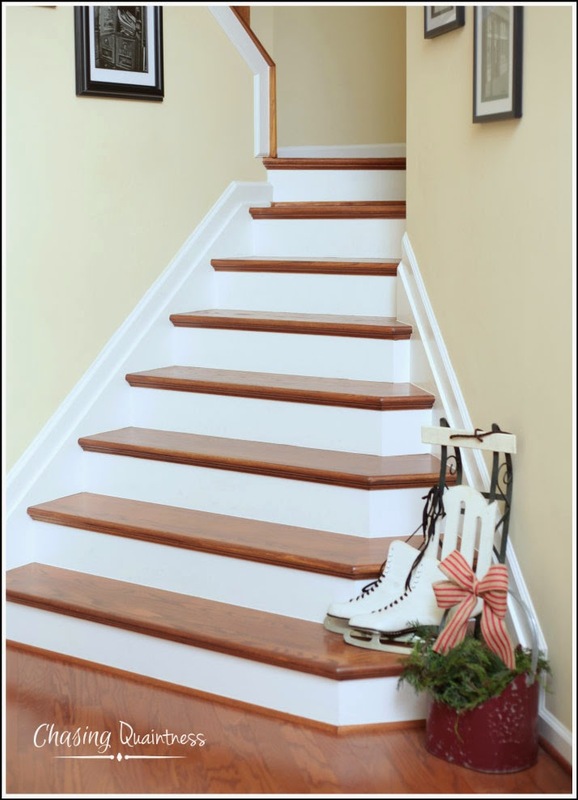 If you need a place for shoes, coats and other gear, there are all sorts of wonderful entry way ideas on the internet. Find the one that works for you and put it into action. 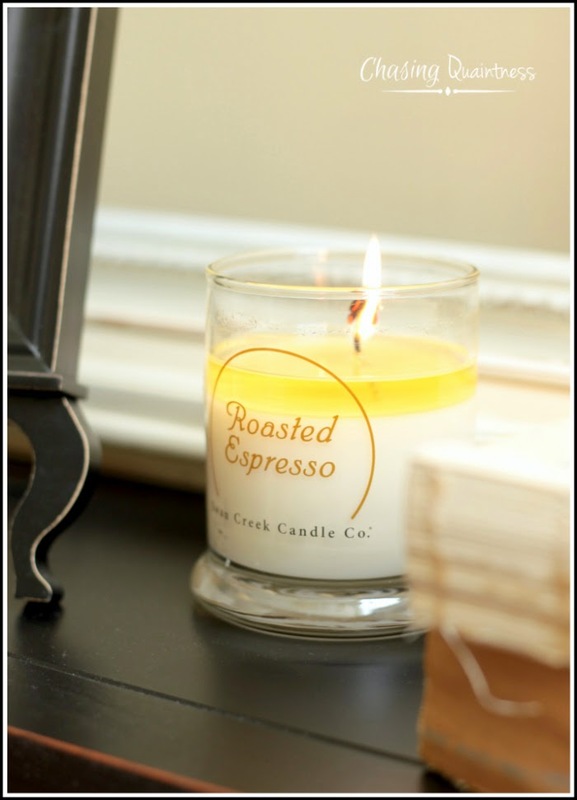 Light a candle for a welcoming scent. Let your home be an extension of you and your personality. 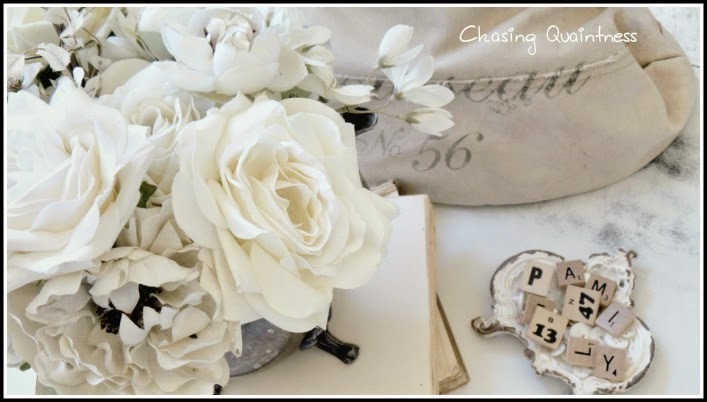 With so many home decor blogs, websites, Pinterest boards and advertisements, it is easy to think our style doesn't measure up to someone else's. 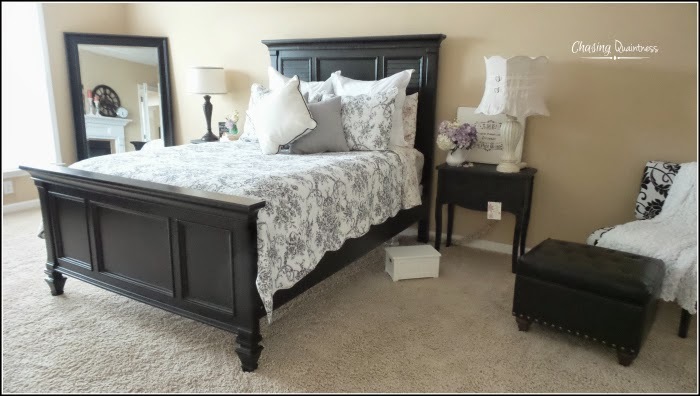 Fill it with things you like -- mix colors, textures and styles! Not everything has to be a perfect matching set nor does it have to be brand new! Monitor noise levels. Turn OFF the TV, radio, iPod, and any other electronic you may have around. Relish the quietness. I know this is sometimes difficult, but I find that I get easily over-stimulated with all the noise of electronics and really enjoy the peace and quiet. Kids will probably appreciate being "unplugged" occasionally once you get them used to the idea. Get organized and have a sense of order in your home. A place for everything and everything in its place. Yes it is difficult with our busy schedules, yes it is hard to do with small children, but it can be done. Start by at least making your bed every day. If you get nothing else accomplished, do this one thing. It will encourage you to keep other things neat and tidy. Put things away and tidy up before bedtime. Let children participate in putting their toys away at the end of every day. You will be creating good habits for them and preparing them for when they have their own home. Display family photos. 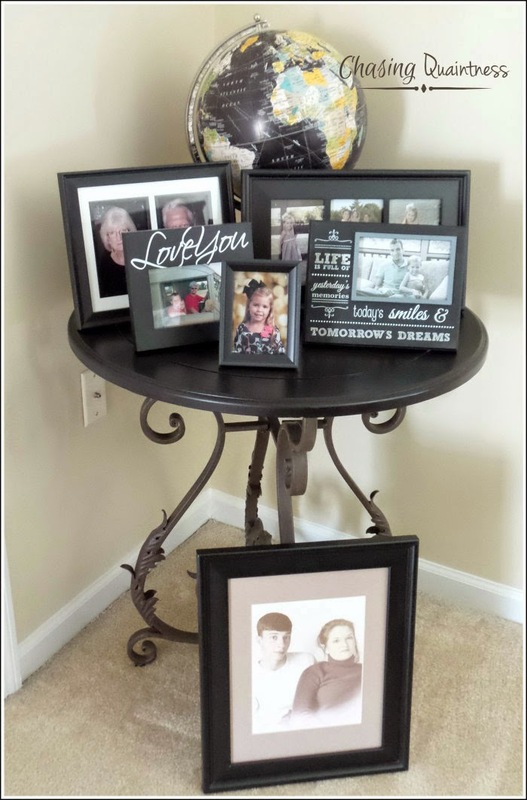 Family photos welcome other people into your home and into your life. Be a blessing to someone! Make sure your home is also - invite someone over for coffee or dinner. I know this is a little lengthy but I do hope that some of these will be a blessing to you today... sharing a little something from my home to yours! I need to practice some of these wonderful suggestions. My home is chaotic. 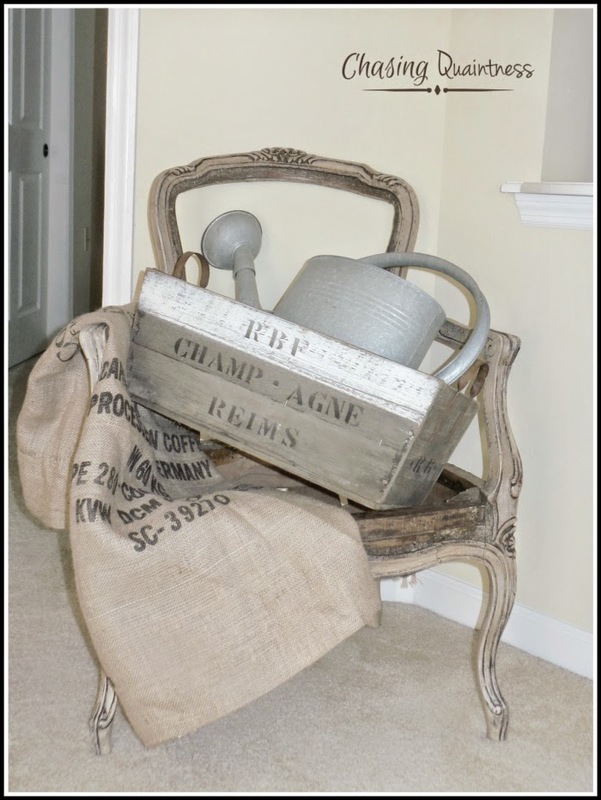 Did I spy your naked beauty chair with a crate and watering can sitting in her? I’ve been trying to put these practices in place for many years. I have good days and bad days…LOL. Yes ma’am..I just love her and had found the old crate and watering can at the same time. They just went together for me. These are lovely tips, Benita! I can see why you treasure the book so much. I've never read it but I'll definitely check it out. Oh, and I love that you described her as a human teacup. Too cute :). Thank you so much! You will love her books! She is such a precious woman! And she would definitely be that teacup -- so delicate and elegant! Have a great evening! Rue, you would really enjoy her books. I would love her for a 3rd grandmother! :-) Hugs!! The bed trick works for me! Came over to see your naked chair (which I love)...Donna sent me. She's such a hoot!